Swindon failed to build on their 3-0 win over Yeovil having had a goalless draw with Oldham at home. 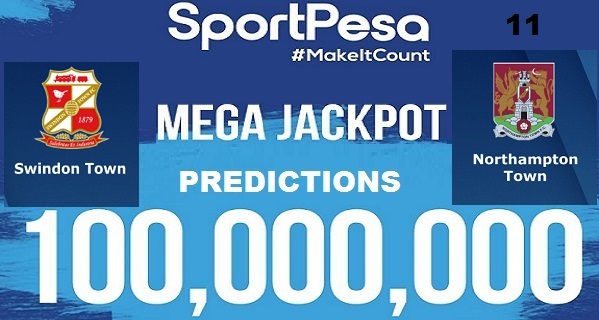 They are at position nine on the table with 16 points having won four games, drawn four and lost two. They have won two games in the four home league games. Northampton suffered a heavy 4-0 loss to Mansfield away from home to extend their winless run in six games. They are at the bottom half of the table with seven points having won one game in the ten league games they have played. Out of the five away league games; they have won one, drawn one and lost three. 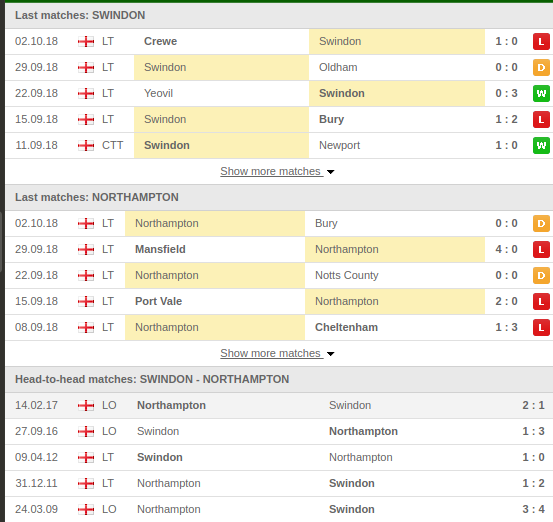 Swindon Town have won seven games, drawn four and lost three in their all meetings with Northampton. Swindon have been decent enough but lack of consistency and that ha been a big late down. 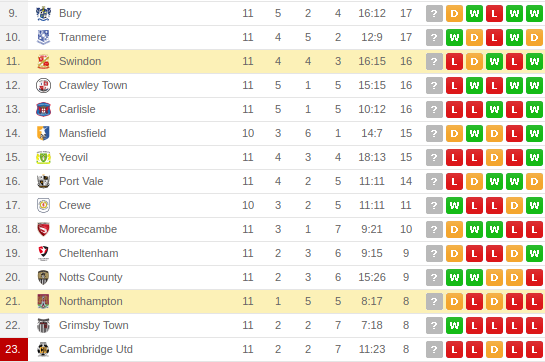 Northampton are in a crisis having only won one match so far however that win came away from home.